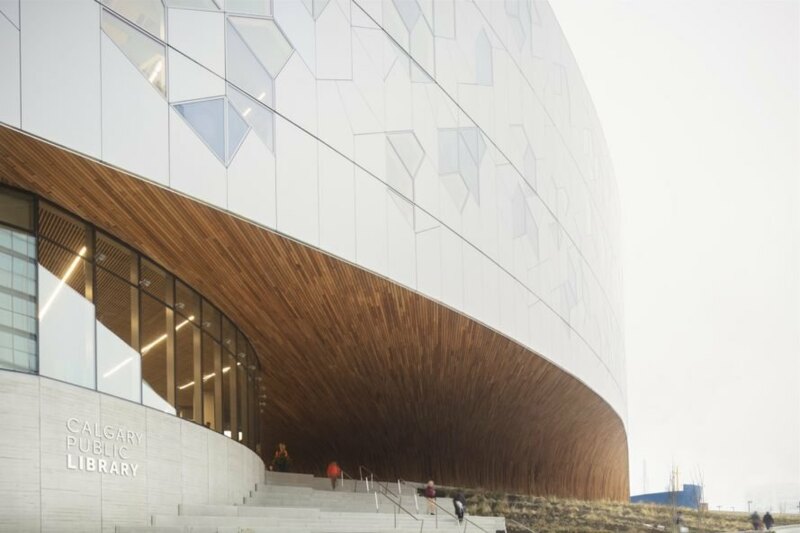 Calgary’s new Central Library has just opened its doors to the public — and it’s a thing of elegant, energy-efficient beauty. 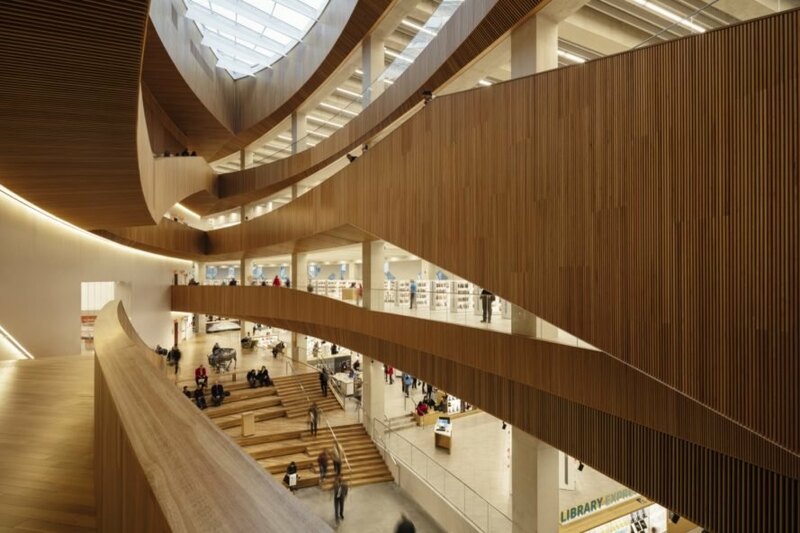 International architecture firm Snøhetta teamed up with North America-based multidisciplinary design firm DIALOG to create the new main branch of the Calgary Public Library, one of the largest library systems on the continent. Wrapped in a dynamic, triple-glazed facade overlaid in an intricate, hexagonal pattern, the eye-catching library provides 240,000 square feet of expanded facilities in a contemporary and light-filled environment. 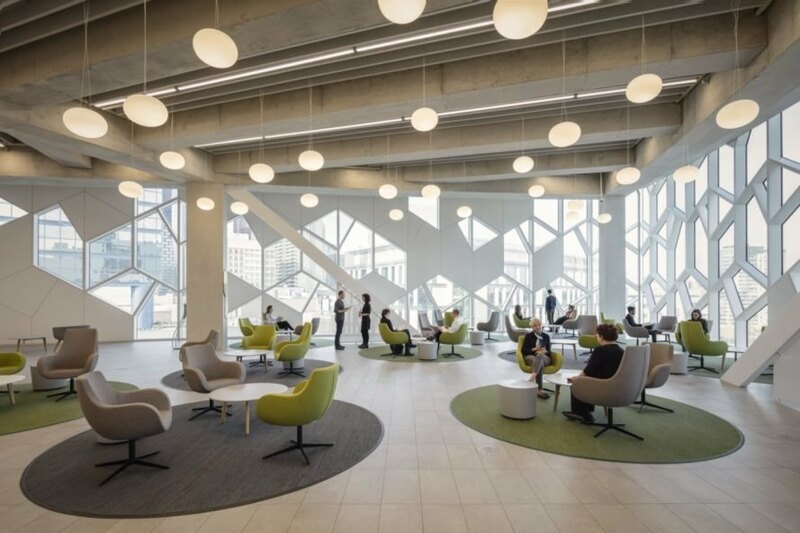 Located in downtown Calgary and elevated above the Light Rail Transit Line, the $245 million CAD Calgary Central Library is the city’s largest public investment since the 1988 Olympics. 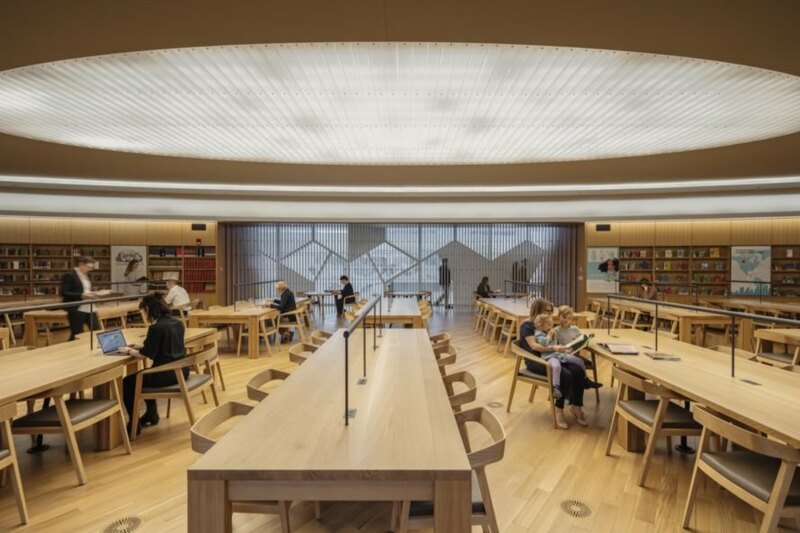 Opened on Nov. 1, 2018, the library is expected to welcome over twice as many annual visitors and offer a strengthened role as a public gathering space with new areas dedicated to social interaction and exchange as well as sufficient spaces for studying and learning. The outdoor landscape has also been designed to facilitate public gatherings with outdoor amphitheaters and an entry plaza that unites the Downtown and East Village, two neighborhoods previously split by the Light Rail Transit Line. The outdoor planting plan references Calgary’s mountains and prairies with a palette of native flora. The crystalline geometry of the building facade dramatically stands out from the urban fabric while fritted glass cutouts provide views into the building from afar. Inside, the library is spread out across six floors and lined with wood throughout. 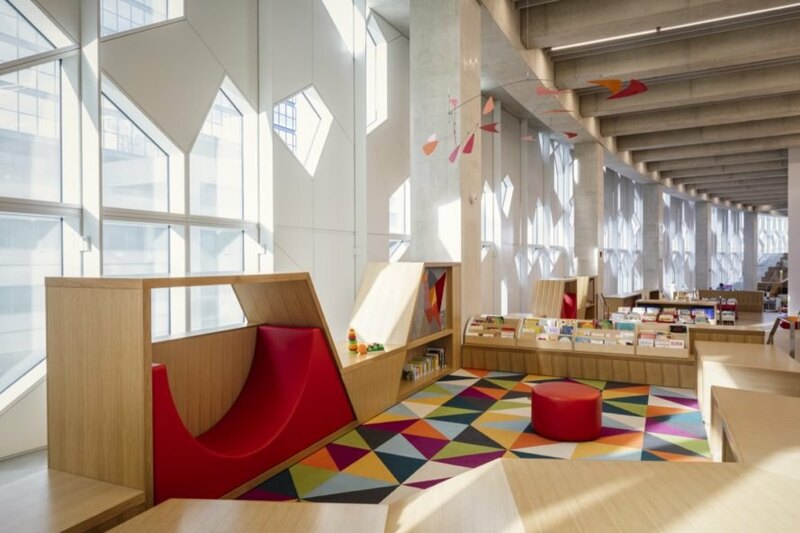 The floors are organized “on a spectrum of ‘fun’ to ‘serious’” with the more active programming, like the Children’s Library, placed on the lower floors and the quiet study areas and jewel box-like Great Reading Room on the upper floors. 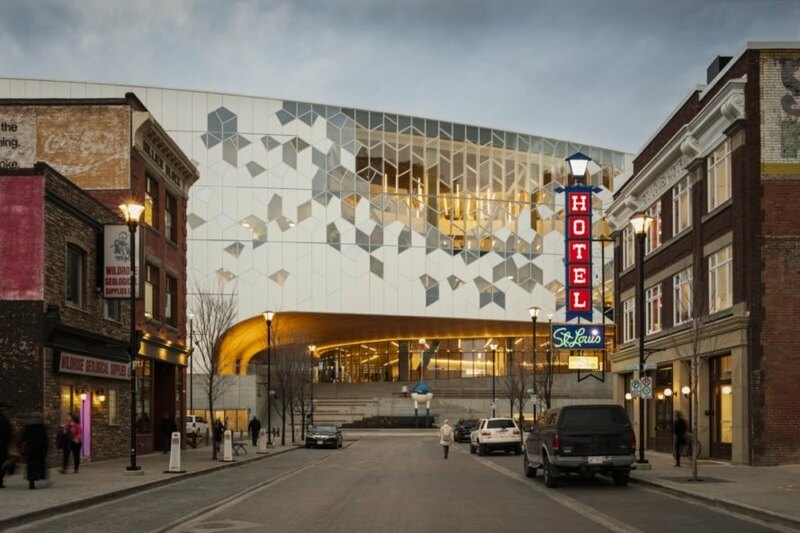 An intricate facade on the new Calgary Central Library is reminiscent of snowflakes. 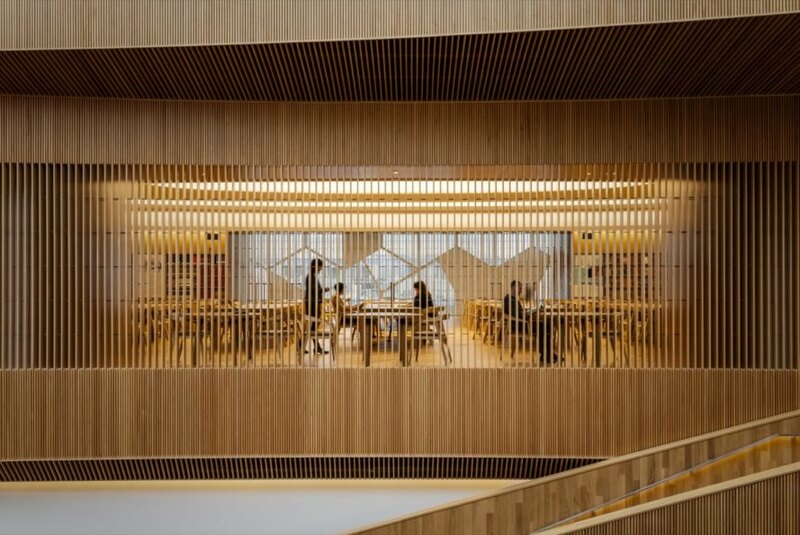 The new library is designed in partnership by Snøhetta and DIALOG. The library opened to the public on Nov. 1, 2018. Wood-lined interiors create a peaceful atmosphere. The structure spans 240,000 square feet. There is plenty of space for studying, playing and socializing. Minimalist interiors allow visitors to focus. The library is housed among six floors. Upper floors features quiet study spaces. Communal spaces throughout encourage people to make new friends. More active programming, like the Children's Library, is placed on lower floors. The library is set to welcome more than twice as many annual visitors. 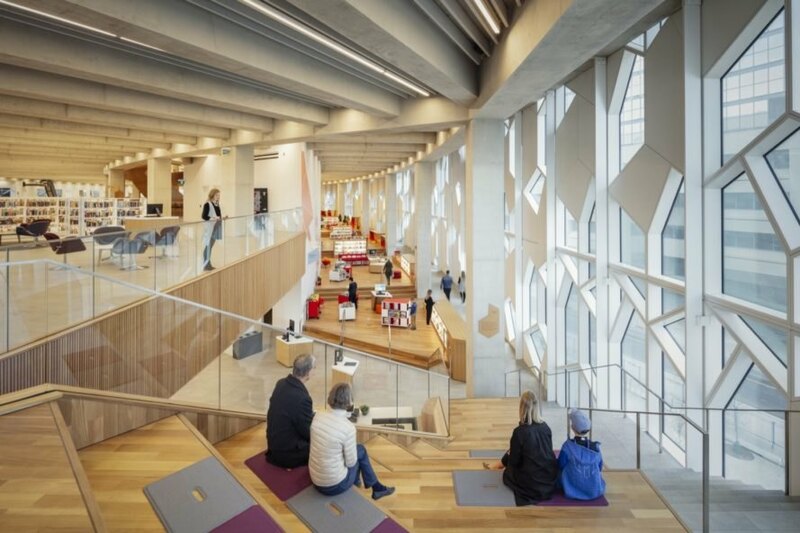 The new Calgary Central Library is a symbol of community.